Hello again! I absolutely love seeing all of the "Favorites of 2015" posts at this time of year, so I decided to make one of my own! Originally I wasn't going to because I haven't been blogging/swatching as much I used to and I didn't have photos of a lot of my favorites. But I decided I wanted to show you my favorites anyway, so I asked some of my blogger friends if I could use some of their photos and they all agreed. 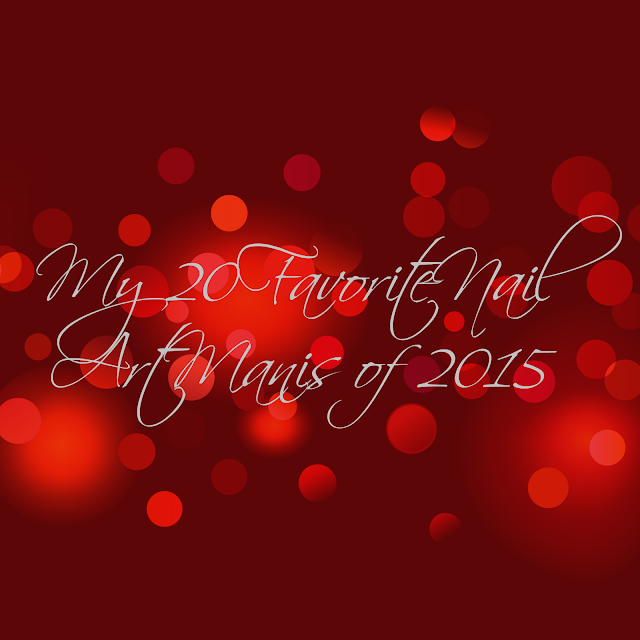 So, here are my favorite polishes in 2015! Good morning, everyone! It's so hard to believe it's the last day of 2015 already! This year, like all years, has had its ups and downs. My blog had to be pushed to the side the last few months but I am really hoping to pick it back up in 2016. I am hoping to get a couple of "favorites" posts up today or tomorrow, but I am working and have a headache that's going on its 3rd or 4th day, so we'll see if it happens. 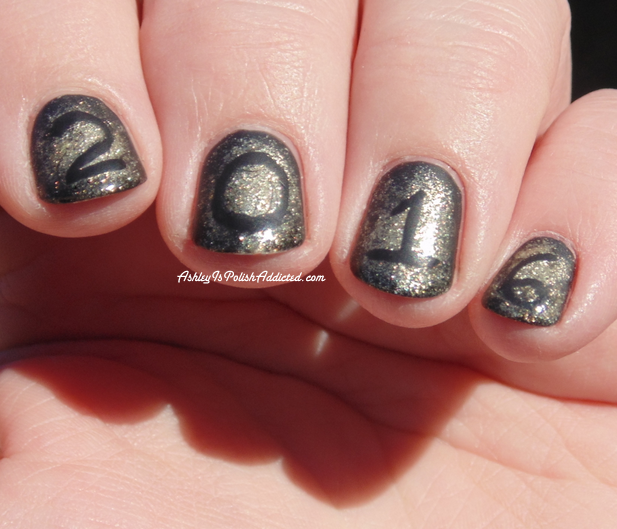 But, for now, I wanted to share my New Year's Eve mani! I have actually been wearing this all week and it's still chip-free! Hello everyone! I hope all of you who celebrate had a wonderful Christmas! I am still having computer issues so my posting will still be sparse for a bit, but I am hoping now that the year is coming to a close I can get back to posting on a more consistent basis again. 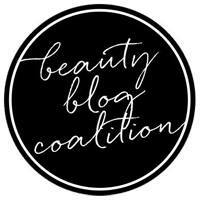 However, today I have a guest post from the super sweet and talented Courtney from Polished Lifting. I love Courtney's blog! 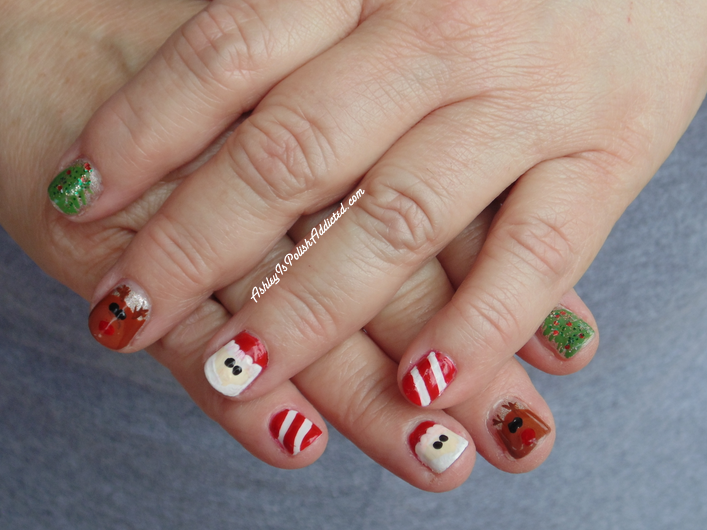 She has beautiful nails and photos and does fun nail art! I will list her social media links at the end of this post so make sure you check her out and give her a follow if you don't already! Hey there! I'm Courtney from Polished Lifting. I obviously do not run Ashley Is PolishAddicted, but I adore her and her blog. 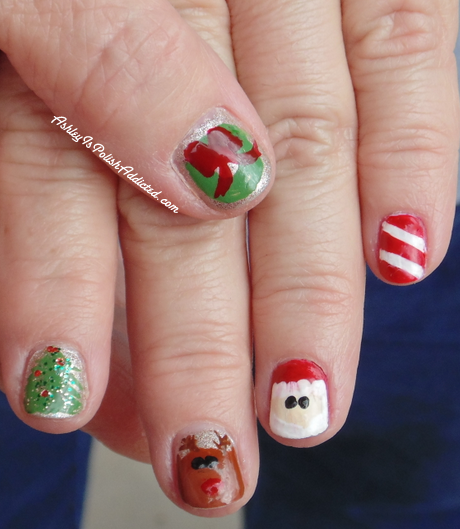 I feel absolutely privileged to have the opportunity to share some nail art with you guys today. I started with a base of Zoya Noot, and applied a glitter gradient to my index and pinkie fingers. 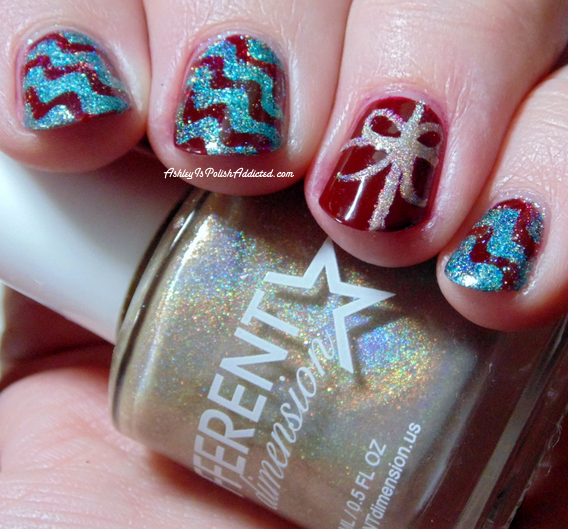 I worked the gradient in three coats so that I could have more control over the glitter placement. Once I was happy with the gradient, I stamped over the remaining fingers with Sally Hansen Insta-Dri Cherry Fast. 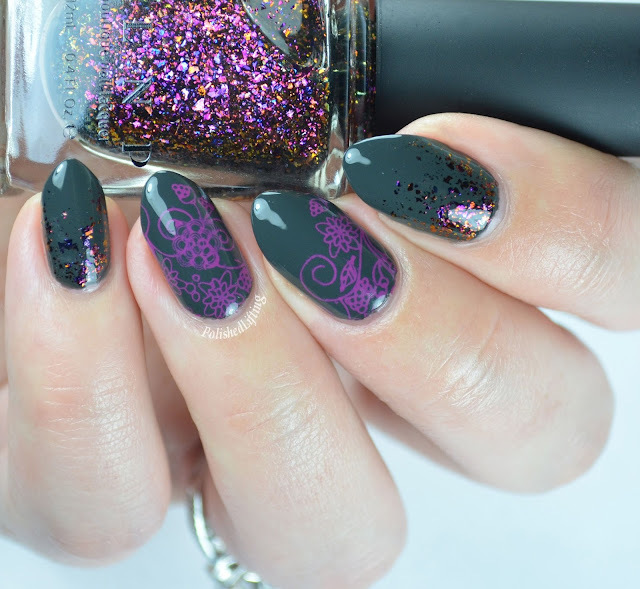 The whole mani was then topped with Bohemian Polish Flash Dry. 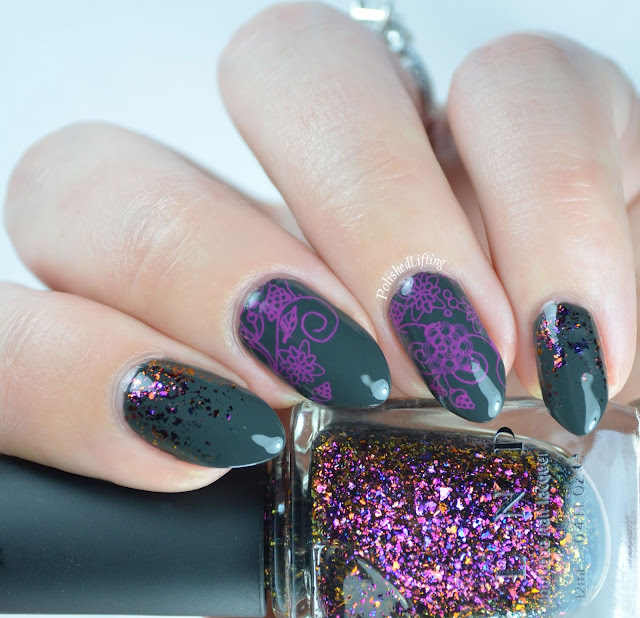 I would love to hear what you think of this mani, and what kind of nail art you would like to see in the future. Leave us a comment below with your thoughts. Thank you Ashley for letting me takeover you blog for the day! You are welcome to "hang out" on mine anytime. Thank you so much for the beautiful nail art, Courtney! I love your mani and it really makes me miss my nails being this length and shape since I suffered a bad break on Christmas Eve. If you don't already follow Courtney, please make sure to check her out at the links below! Happy Friday! 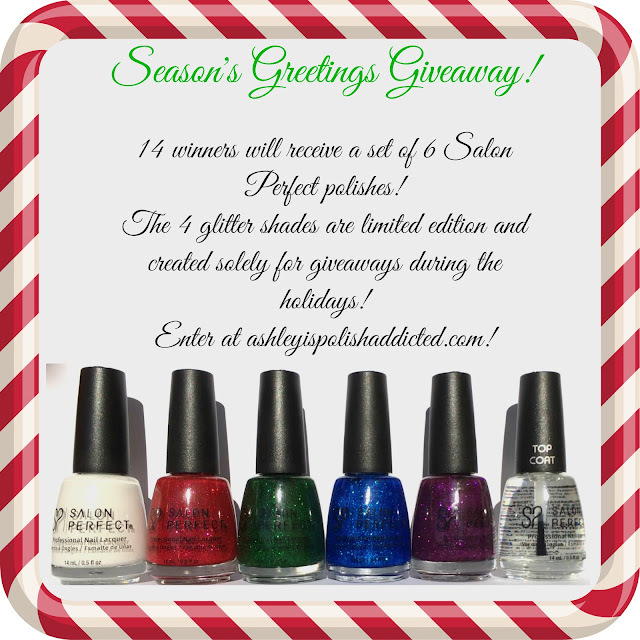 I have swatches of the Salon Perfect polishes that are in the Season's Greetings Giveaway! (If you missed my post for the giveaway, you can click here or find it on the right sidebar of my blog.) These polishes were created solely for the purpose of holiday giveaways and will not be available for purchase! In addition to these 4 LEs, each winner (there will be 14 of them!) will also receive a bottle of Salon Perfect Sugar Cube and a bottle of their top coat! Happy Thursday! I have sadly missed the first part of Digit-al Dozen this week due to migraines and life being hectic, but I am back for the last part of the week! When I first started thinking of manicures I could do for this week's prompt of Traditions, I'll be honest, I was pretty stumped at first. However, after much brainstorming, I had come up with some pretty good ideas. I'm bummed I won't be able to attempt them all this week, but I've chosen two of my favorites to show you! Today's is wrapping presents! Hi everyone! I have a very fun giveaway to share with you today - just in time for the holidays! 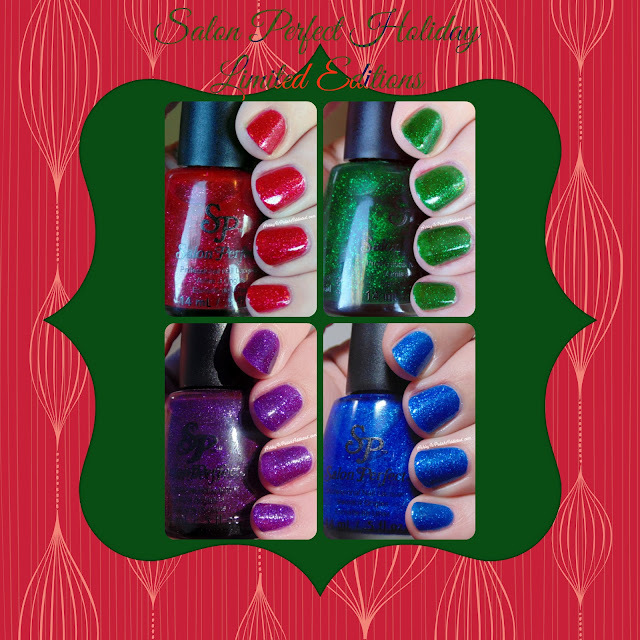 Salon Perfect has created four limited edition polishes exclusively for giveaways this holiday season! They will not be available for purchase so the only chance you have to own them is to win them! I have 14 sets (yes, fourteen!) to giveaway to my readers! Salon Perfect is pairing the four limited edition glitters with Sugar Cube (white creme) and a bottle of their top coat! Sugar Cube is my personal go-to white (I'm on my 2nd bottle!) and I have been really loving their top coat lately, these are great staples to win with the gorgeous glitters! This set is currently on its way to me so I will have them to show you soon, but in the meantime you can enter below for your chance to win! This is a quick giveaway, so don't delay! Salon Perfect wants to make sure you have them in time for the holidays so they will be shipping these directly to the winners starting Monday, December 21st! Shipping for this giveaway is restricted to the US only. Hello! I'm late with this week's challenge, but I figured it was better late than never! I would have been on time but I've been ill this weekend. This is the first freehand nail art I've done (using my nail art brushes) in nearly 2 months! I could definitely tell I was out of practice but it felt good to get back at it and I can't wait to do more! This week's theme is winter, and I wanted to do something different than snowflakes. Let's see what I came up with! Happy Saturday! My nephews are here today and we are going to decorate for Christmas so I am super excited! 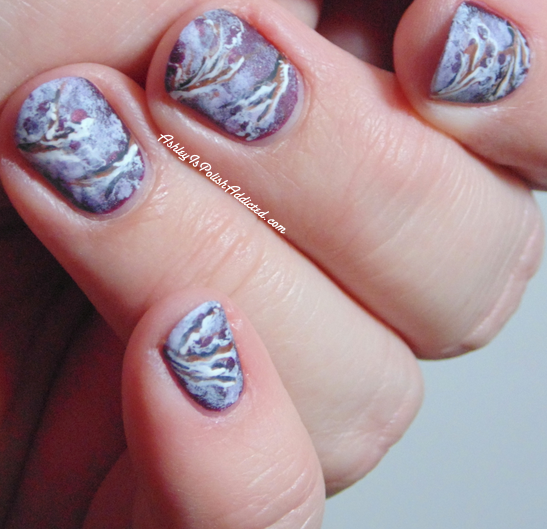 But first I wanted to get a quick post up for my nail art challenge this week. 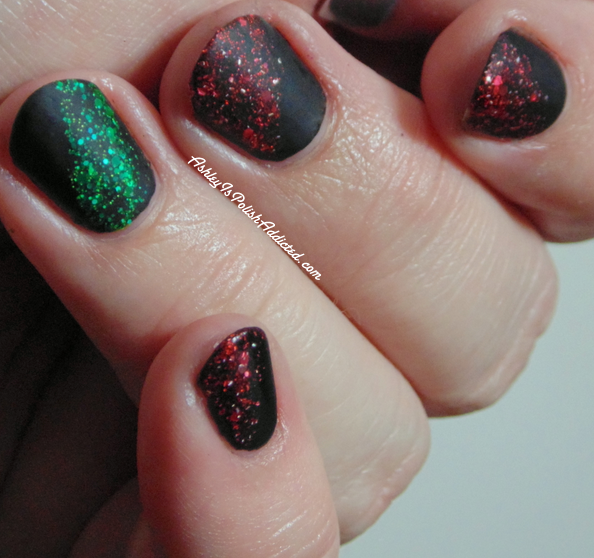 The color theme this week is "glitter or flakie topper" and my pattern was "half and half." I knew I wanted to make it Christmas-themed, but with a twist. I'm pretty happy with how it turned out!